A range of quality commercial washing machines from IPSO, Primus and Electrolux. 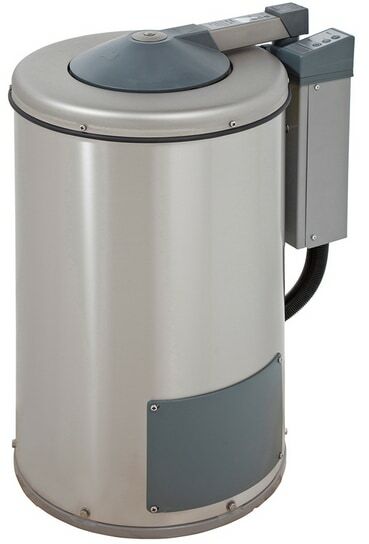 Capacities available from 5.5kg up to 120kg. Most machines are WRAS approved and comply with CFPP01-04 formally known as HSG (95) 18. The easy affordable way to get new modern efficient laundry equipment. Our all inclusive affordable rental contracts are available from 3 – 6 years. Equipment supplied is brand new delivery and installation is included and all breakdowns covered, you will never receive a repair bill ever… All this for one permanently fixed low cost monthly fee. 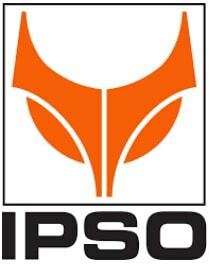 A range of high quality industrial washing machines from Brongo of Italy. Capacities available from 30kg up to 520kg. The machines are available in open pocket 30kg - 520kg, split pocket 100kg - 200kg and hygienic barrier designs 100kg - 200kg. Tilting options are also available. Brongo is the ideal cost effective choice when looking to replace ageing outdated Cherry Tree and Spencer equipment. 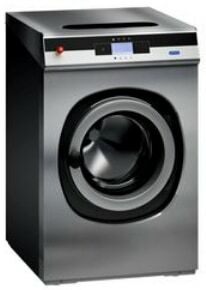 A range of quality barrier washers from Primus and Electrolux. Capacities available from 13kg up to 180kg. The only solution for keeping soiled and clean linen completely separate vastly reducing any chance of cross infection in the laundry. Most barrier washers are WRAS approved and comply with CFPP01-04 and RABC. 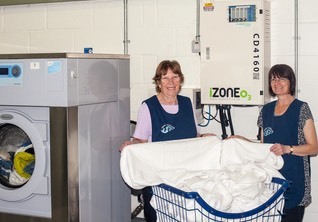 At last an ozone laundry system that everyone can afford. 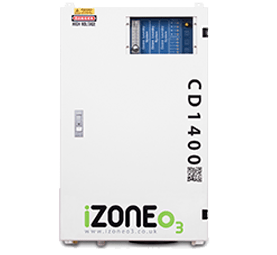 Installing an iZone o3 system can dramatically reduce electric and water use by up to 30% detergent by 10% and drying by up to another 10%. Eradicate the threat of cross contamination and kill 99.99% of bacteria such as E.Coli, MRSA, C.diff, Parvovirus, Norovirus and other harmful bacterial infections. An essential machine for people who use low spin washing machines and launderettes. 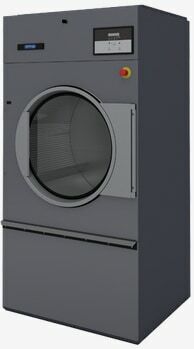 Laundry 365 supply hydro extractors from Electrolux in capacities 8kg, 12kg and 18kg in OPL and coin operated versions. 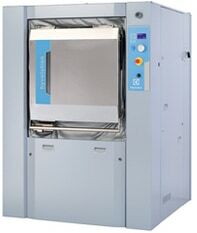 A range of quality commercial tumble dryers from ADC, Primus and Electrolux. Capacities available from 5kg up to 120kg. Heating options available include Electric, Gas, Steam, Thermal Oil and Heat Pump. Save up to 40% on energy costs with heat pump, moisture control and air recycling options. 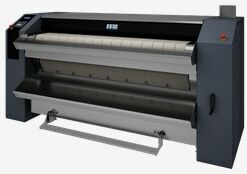 A range of quality rotary and flatwork ironers from Primus and Electrolux. Lengths available from 1 meter up to 3.3 meters. Heating options available include Electric, Gas, Steam and Thermal Oil. Additional options also include automatic feeding, folding and stacking. A range of quality commercial ironing equipment from Stirmatic and Electrolux. 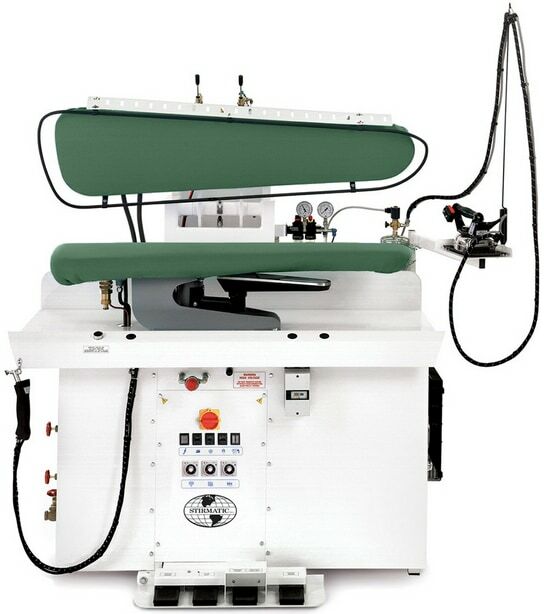 Our range includes ironing tables, spotting tables, form finishers, shirt finishers, trouser toppers, rotor cabinets and presses all suitable for laundry, dry and wet cleaning operations. 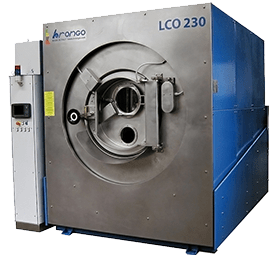 Laundry365 Commercial & Industrial Laundry Equipment, Bedpan Washer, Detergent, Dishwasher and Ozone Laundry System specialist. Our success is built on unequalled customer focus, extremely competitive pricing and our ability to supply award-winning high-quality equipment quickly nationwide. 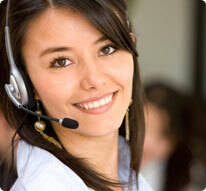 All this is backed up with a dedicated service network and experienced after sales support staff. Whether you are looking to Rent, Lease or Purchase finding the right equipment is not a simple task. With so much choice, so many options and manufacturers marketing literature it can daunting and confusing. Laundry365 help guide you every step of the way to avoid committing to equipment that may not be entirely suitable for your needs. The UK has a vast choice of suppliers and manufacturers of which some only have one interest, theirs. We believe that talking to Laundry365 will be a refreshing change. Friendly, honest, unbiased advice, no pushy salespeople or call centres and utterly transparent pricing this is what sets Laundry365 apart. We always offer 'best-for-you' solutions whether Renting, Leasing or Buying. Equipment broken down, need a second opinion, Spare Parts or a Service Contract then look no further than Laundry365. We repair, maintain and service the following brands nationwide all at very competitive prices.